WaterTime offers complete Installation, Services and design for your lawn sprinkler and Landscape Lighting systems. From the start of the installation to the annual service and maintenance, WaterTime has it covered. Every lawn sprinkler or landscape lighting system we install is custom designed for your property and your needs. Whether you want only the grass or gardens watered, or both, your sprinkler system will effectively and efficiently water your property just as intended. We install and services all of Maple, Woodbridge, Vaughan, Milton, Richmond Hill, Etobicoke, Markham. In today’s market, sprinkler systems are a must – particularly with young families buying new homes in Maple, Woodbridge and Vaughan, lawn sprinklers save families time and money while ensuring the beauty of their property. The demand for this is high. WaterTime makes this new feature easy for you to enjoy. When it’s time to install a new sprinkler you need it done right the first time. Installing a sprinkler system should be left to experienced technicians with the goal of installing a system that will last a lifetime. Our company prides itself on the technical team that we have assembled to take care of all of your sprinkler requirements the right way – the first time. Front and Backyard Makeovers! We can custom design your new lawn and gardens but why stop there? Whether you want a new stone walkout, permiable pavers (fancy name for patio), or just sod it, we do great sod installation that can be coordinated to include a new Sprinkler Irrigation system. 35 Years of Service to Durham Region and Surrounding Areas. 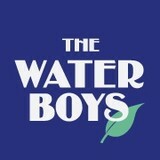 Established in 1980 to provide professional irrigation and lighting services for residential and commercial clients. We design, install and maintain inground water sprinklers for your landscaping. About Greentopia provides lawn care services to Toronto and the surrounding Greater Toronto Area (GTA). We specialize in weed control for your lawn, garden beds, walkways and patios. We also provide fertilization, grass repair, and insect control. Greentopia is the only lawn care company that offers a "no more weeds" guarantee - if you are not 100% satisfied we will refund you money. Live in Greentopia, not Weedville. Call us today. With a guiding philosophy of excellence, stewardship and quality we deliver long-lasting, beautiful lawns for our clients. We care about making you happy, creating healthy lawns in our communities and making greener choices for our environment. When your lawn is turned on, the benefits multiply! 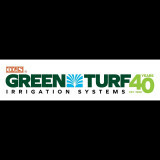 Turf Systems is unique in providing both lawn care services and irrigation systems together – it’s a practical combination that homeowners appreciate because we handle the part of lawn care that can be most problematic. If you can keep your grass at a good length, we’ll make sure it’s healthy, green and weed-free, all season! Lawn Care Programs Grow Green Program starting at $39/visit (5 visits per year, 5 fertilizer applications) Grow Plus Program starting at $42/visit (6 visits per year, 5 fertilizers applications + weed control application) Grow Max Program starting at $43/visit (7 visits, 5 fertilizer applications + weed control application + grub management) Price depends on property size. Irrigation Maintenance Programs Water Care Program starting at $150 (2 visits, spring opening and fall closing) Water Care Plus Program starting at $210 (3 visits, spring opening, summer adjustment and fall closing) Water Care Max Program starting at $270 (4 visits, spring opening, summer adjustment, fall adjustment and fall closing) Price depends on number of zones. Irrigation Installation Starting at $3,500, a quote can be completed following a site visit. 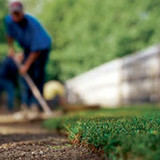 Super Sod.ca has been providing Oakville, Burlington and Milton custom design and landscaping work for over 10 years. We are specialists at sodding, grading and irrigation systems. Green Valley irrigation Green Valley Irrigation is a renowned lawn sprinkler services based out of Mississauga, Canada. Since our inception, we have been offering top-notch technical and practical expertise that can help growing and maintain your lawn without any hassles. Surely, we have created our own niche in the landscape industry. Our aim is to offer clients with state-of-the-art water system that can aptly fit their irrigation needs. Workflow We Follow: In addition to a wide array of products, we offer effective installation at attractive prices. But, before we start with the installation process, we send out our team of experts to carry out a detailed analysis of the customer’s irrigation needs. It helps us to come up with the right plan and perfect kind of water system for your lawn. Our Products: As a reliable provider of quality lawn sprinkler system, we have always attracted a long-standing patronage from our clients. Our products are highly customizable and durable. As a result, it can be easily adjusted to accordingly coordinate with various weather conditions. In order to ensure a streamlined operation of the sprinklers, we also follow effective design standards and apt installation framework. The concept of lawn sprinkler system is not new. In fact, it’s been in use in Canada since years. However, Green Valley Irrigation has introduced innovative and water-efficient systems that have a holistic approach in maintaining your lawn. Our products are designed for both residential and commercial projects. Lay of the Land is Ontario's premier resource for innovative and creative landscape design as well as quality installations and implementation. Lay of the Land offers home and business owners a wide range of landscaping services including; hardscaping & woodworking, garden creation, water features, lawn care, garden care, spring & fall clean-up. If you are looking to transform your landscape, increase property value and improve curb appeal, call Lay of the Land today. Peel Halton Landscaping is a full service landscaping Peel-based company with over 25 years of experience. We offer our services city-wide, 7 days a week to both commercial and residential clients. Specializing in garden design, installation and consultations for plant health! In addition to the maintenance side of gardening, Brockton Village, ON gardeners can help you with garden design and choosing specific plants and grass types for your climate and area. Find a Brockton Village, ON gardener on Houzz. Narrow your search in the Professionals section of the website to Brockton Village, ON gardeners. You can also look through Brockton Village, ON photos to find examples of yards that you like, then contact the Ontario contractor who worked on them.